Our Great Outdoors is for everyone, whether you're mad for the mountains or a high street hiker. Your kind of adventure is our kind of adventure. Rate and review Trespass in Belfast, United Kingdom! 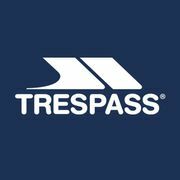 Share your experiences at Trespass with your friends or discover more Sporting Goods in Belfast, United Kingdom.